As the nation undertook the business of winning two world wars, tens of thousands of soldiers and airmen served tours of duty at San Antonio’s major bases. Those times coincided with a surge in popularity of picture postcards, which uniquely document the scene. Eyes Right! 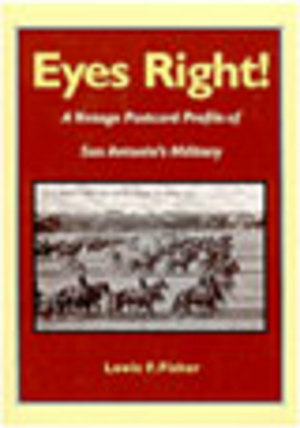 organizes nearly 200 postcard images into a sequence that includes rare photo shots of the Army’s chase of Pancho Villa along the Mexican border, an event in which San Antonio’s military played an important role.